Artificial intelligence in all its forms is increasingly interwoven into all our lives, and remains one of the most lively areas of discussion and interest in technology today. 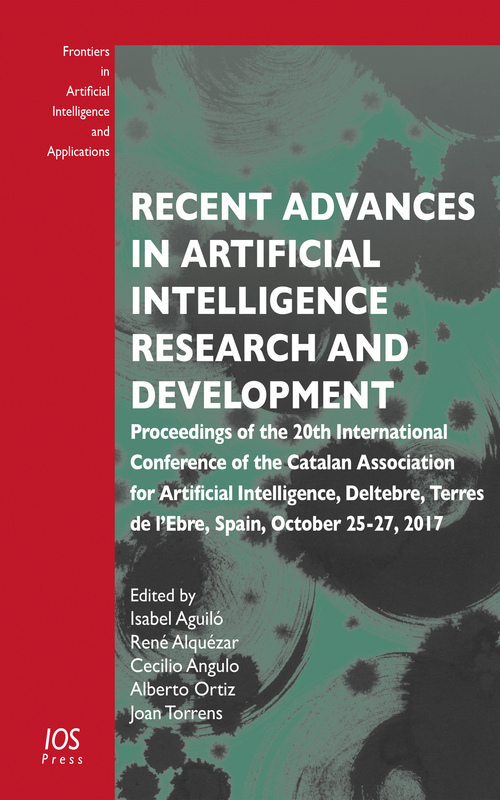 This book presents the proceedings of the 20th International Conference of the Catalan Association for Artificial Intelligence (CCIA’2017): ‘Recent Advances in Artificial Intelligence Research and Development’, held in Deltebre, Terres de l'Ebre, Spain, in October 2017. Despite its title, this annual conference is not only for researchers from the Catalan Countries, but is an international event which attracts participants from countries all around the world. In total, 41 original contributions were submitted to CCIA’2017. Of these, 21 were accepted as long papers for oral presentation and 13 were accepted as short papers to be presented as posters. These 34 submissions appear in this book organized around a number of different topics including: agents and multi-agent systems; artificial vision and image processing; machine learning; artificial neural networks; cognitive modeling; fuzzy logic and reasoning; robotics; and AI applications. The book also includes abstracts of the 3 presentations by invited speakers. The book offers a representative sample of the current state of the art in the artificial intelligence community, and will be of interest to all those working with AI worldwide. Editors: Aguiló, I., Alquézar, R., Angulo, C., Ortiz, A., Torrens, J.